"We needed a database server that could handle both small and very large clients without any huge impacts both from a cost and more importantly from a performance perspective – MySQL was just that." TickTrade Systems, based out of Toronto Canada, is a next generation electronic trading and analytics software provider for financial institutions and their clients. Although relatively new to the market, their TickTrade FX technology has quickly proven to be a major disruptor of traditional trading systems and has rapidly been adopted by many of North America's largest banks as well as other financial institutions across the globe. Their comprehensive solution delivers an intuitive and consistent user experience across multiple asset classes allowing for a greater emphasis on usability, customizability, and overall value-add when compared to other offerings. 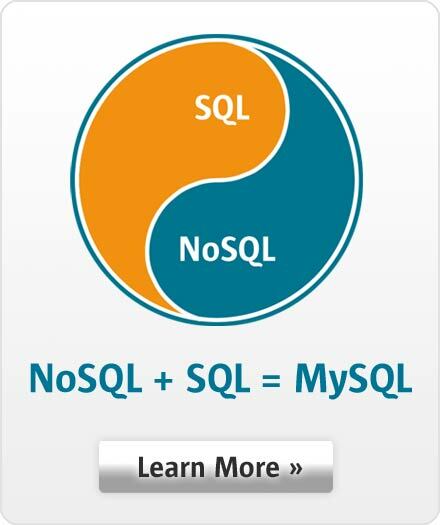 To support all of these cutting-edge technologies, TickTrade chose MySQL as the building block of its database solution. TickTrade originally evaluated several database options including IBM before selecting MySQL as their development and business standard. This decision was primarily driven by MySQL's close alignment to TickTrade's product and licensing model, which supports private cloud environments. By removing any scalability and flexibility concerns, TickTrade was able to focus on developing their core product and growing their SaaS business model. One additional metric that TickTrade was required to adhere to was meeting strict Service Level Agreements (SLA's) set in place by their customers. In a fast-paced financial landscape, any excess latency is unacceptable and must be dealt with immediately. With MySQL Enterprise Monitor, TickTrade is now able to effortlessly monitor their performance and quickly make changes across their entire infrastructure – even across multiple databases. To safeguard their data, TickTrade implemented a multi-layer security approach. First, a pair of high availability database servers replicate in real time across a primary and secondary database located in separate off-site data centers. Secondly, two additional backups run at various intervals ensuring that in the event of a disaster recovery scenario, there is zero data loss and virtually no maintenance window to restore it. Original development of the TickTrade system began in 2012 and was positioned on the freely available MySQL Community Edition. This direction was championed by Alexander Culiniac not only because of the zero cost, high performance capabilities of the product itself, but also because of the open source standard and the passionate community around it. As TickTrade edged closer towards a release-ready candidate, the decision was made to take advantage of the 30-day free trial of MySQL Enterprise Edition. During that time, they began testing various Enterprise exclusive features including high availability, replication and backup all while preparing scripts and fine tuning maintenance procedures to ensure their product was production ready. For additional certainty, TickTrade also enlisted the help of a third party consulting firm to run penetration tests on not only the security aspect, but also the infrastructure as a whole. After passing all of these tests with exceedingly positive results and determining the product was ready to move forward, TickTrade purchased their first MySQL Enterprise Edition licenses, brought on their first set of customers, and have been rapidly growing ever since.